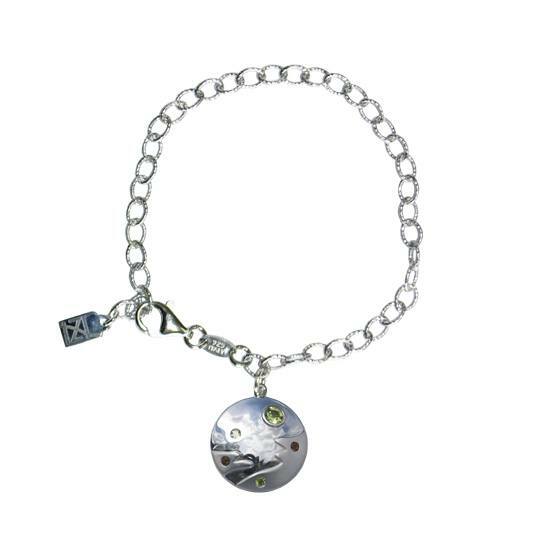 Sterling Silver charm bracelet with Peridot and Smoky Topaz, depicting the element of earth. Loved the bracelet and it came with the most adorable packaging! perfect for a gift!